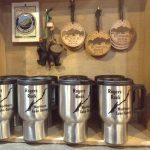 Many visitors think of Brookwood RV Resort when they think of Lake George family camping and Adirondack camping. Some choose Brookwood because of our close proximity to the bass tournaments held on Lake George and Lake Champlain. Campers enjoy our large, wooded campsites and the Adirondack wilderness right outside their door. So when you think of Lake George or Adirondack family camping, think Brookwood RV Resort. Brookwood RV Resort offers the best in Adirondack family camping with 85 scenic campsites. Parking and the setting up your motorhome or fifth wheel with ease thanks to our spaciousness sites. But that’s not all, even if you don’t have your own RV you can still enjoy the facilities of Brookwood RV Resort and the beauty of the Northern Lake George and Adirondack area with one of our Camping Cabin and Cottage Rentals. 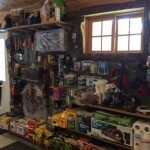 Available on-site for your convenience, Brookwood Country Store is well stocked with groceries, local craft beer, firewood, ice, essential camping and RV supplies, postcards, books, toys, quilts, a kids camp store, Rogers Rock items and a huge selection of gift items. Stop by and enjoy a cup of coffee and some great conversation. All of our spotless showers and bathroom facilities are new, and the basketball court and play area are great places for a get together with your new friends. Outdoor activities include basketball, corn hole, canoe rentals, kayak rentals and a playground for the kids. We are located one mile from Roger’s Rock State Park. Roger’s Rock is a day use area on the lake. For a small fee charged by the state you can have a picnic, launch your boat, go for a swim or just enjoy a day at the beach. We are located six miles from the Hague Beach and boat lauch and also the Ticonderoga Beach and boat launch.